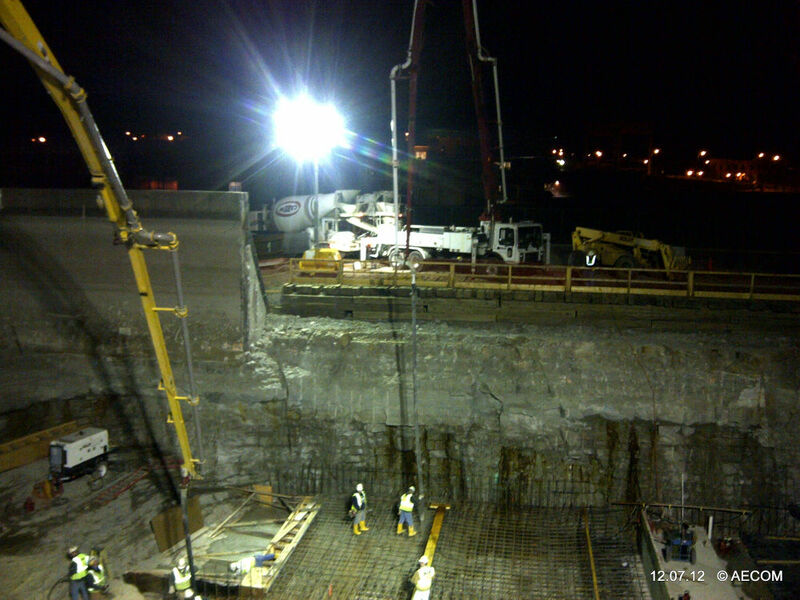 Carew Concrete has worked on quite a few municipal projects over the years. 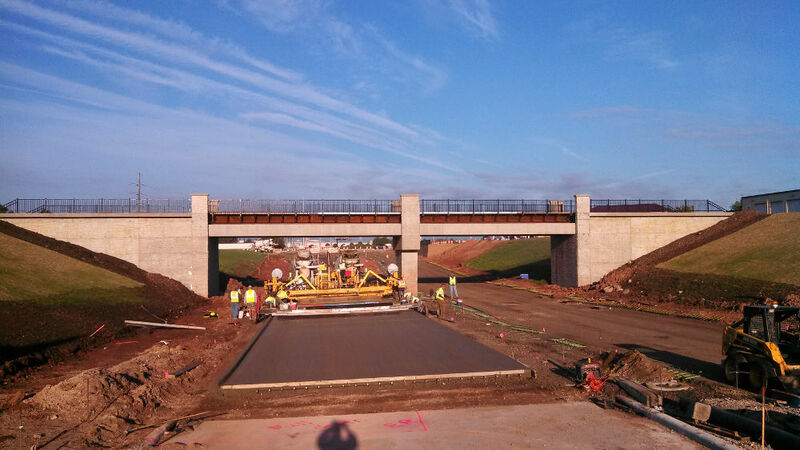 Road construction, bridges, and concrete walls; we've done it all. We bid on contracts of all sizes. 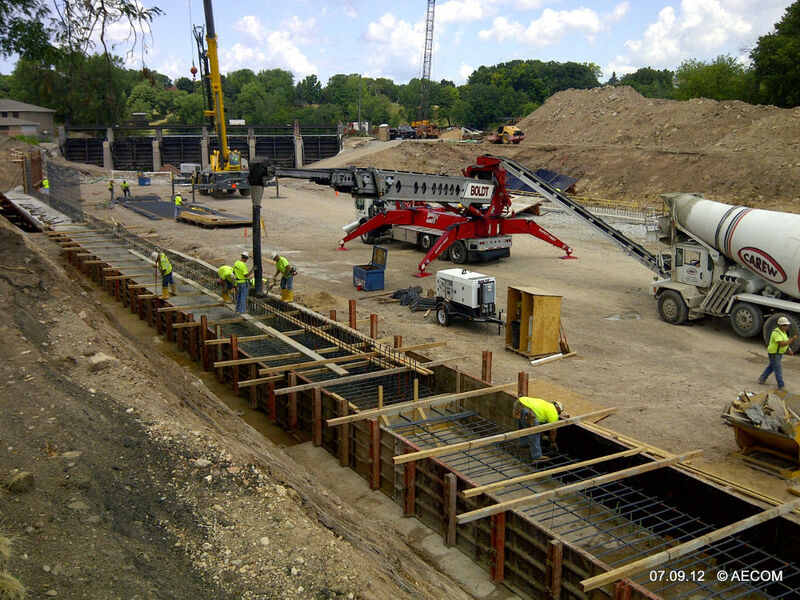 Carew Concrete was brought in to reinforce Kaukauna Utilities existing retaining wall. The wall is highly visible from the roadway, so making the new construct pleasing to the eye was a must. The contractor required special means and mix designs for the project, which Carew was able to provide. The wall itself had a decorative design built in, so we paid close attention to the consolidation of the wall to keep a uniform look to the design. In order to achieve the consolidation, the concrete mix design and control of that design had to be perfect. In order to ensure that the wall was protected during a freeze thaw cycle, air entrainment had to be exact. Through teamwork and experience, we constructed a structurally sound wall that enhanced the overall appearance of this public office’s facility. We are proud to mention that this project was the winner of the 2004 Wisconsin Ready Mix Concrete Association's Concrete Design Award for Regional Design.